Convert a series of DICOM images to a GIF animation. 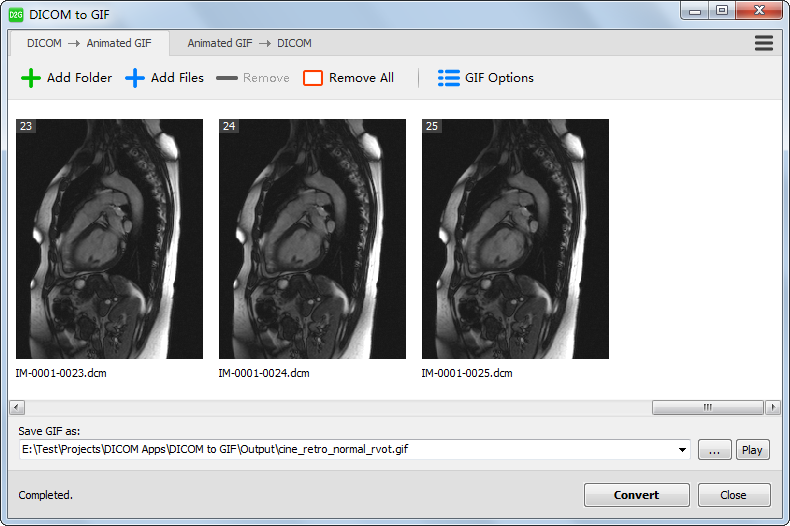 DICOM to GIF is a Windows app for converting a series of DICOM images to a GIF animation. It can also convert animated GIF image to a series of DICOM images. It allows you to custom GIF resolution and frame delay. It can also convert animated GIF image to a series of DICOM images.